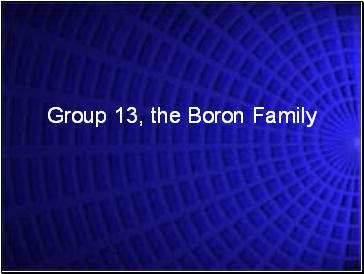 The elements in Group 13 are all metals except boron, which is a brittle, black metalloid. 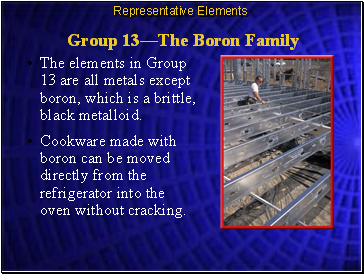 Cookware made with boron can be moved directly from the refrigerator into the oven without cracking. 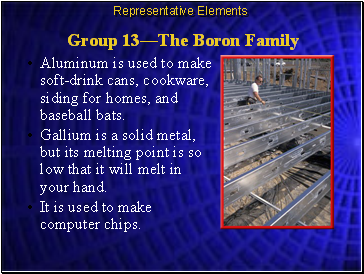 Aluminum is used to make soft-drink cans, cookware, siding for homes, and baseball bats. Gallium is a solid metal, but its melting point is so low that it will melt in your hand. 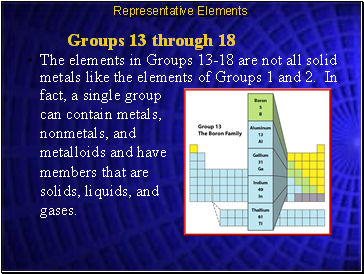 It is used to make computer chips.